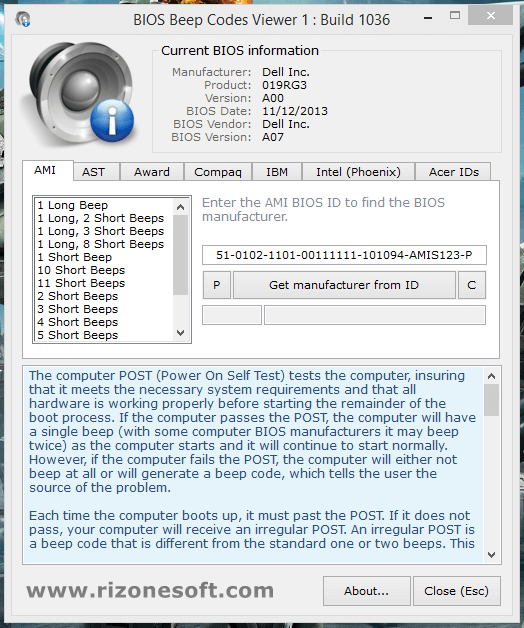 The Beep codes viewer is a simple tool that will explain the BIOS error beep codes for all the main PC BIOS manufacturers (AMI, AWARD, Phoenix, IBM). If you’ve ever had a PC fail its power-on self-test then you’ll know how useful this can be. Typically you’ll just get some pattern of beeps – one long and three short, say – and then be left hunting for your system manual to find out what these noises could possibly mean. With the Beep codes viewer, though, it’s all very different. The program is portable, so save it to a USB flash drive and you can launch it from just about any PC. Then choose your BIOS type (it may say on the boot screen, if you still get one), and click on the beep code you’re hearing for a detailed description of what it’s trying to tell you, and how to fix the problem. 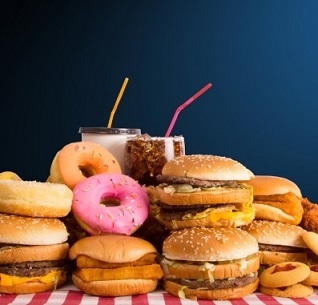 986 2,516 Rizonesoft <img src="https://www.oldergeeks.com/downloads/gallery/thumbs/BIOSBeepCodesViewer1_th.png"border="0"> Mar 28, 2019 - 11:44 1.0.3.1036 560.3KB ZIP , out of 15 Votes.